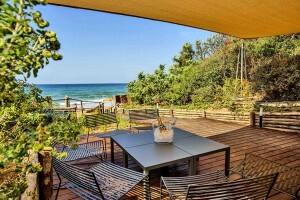 PRIVATE BEACH WITH DIRECT ACCESS! 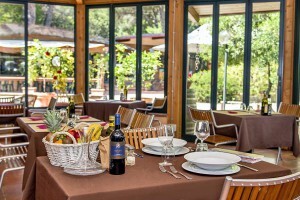 COME TO CELEBRATE WITH US 50 YEARS OF PASSION! 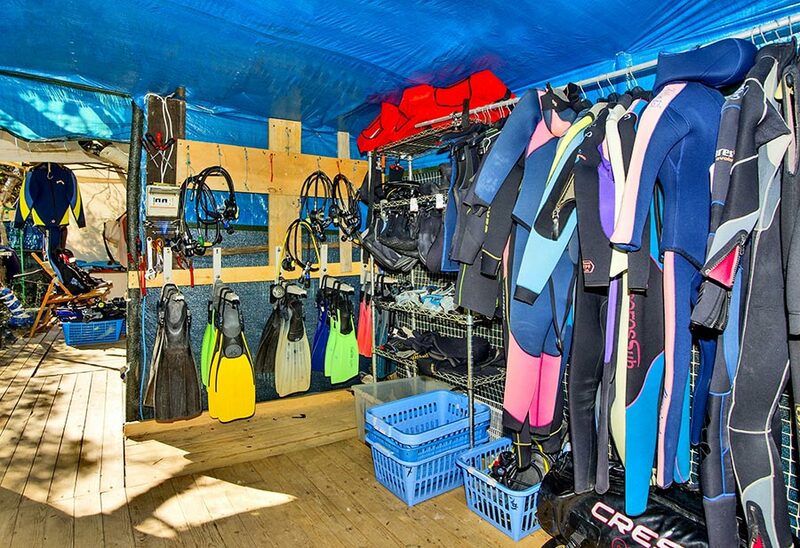 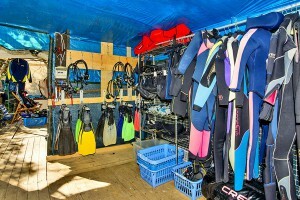 COME TO TAKE A DIVE! 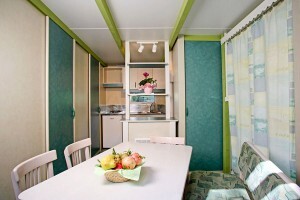 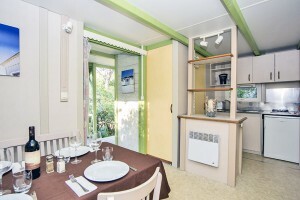 DISCOVER OUR NEW MOBILE HOME! 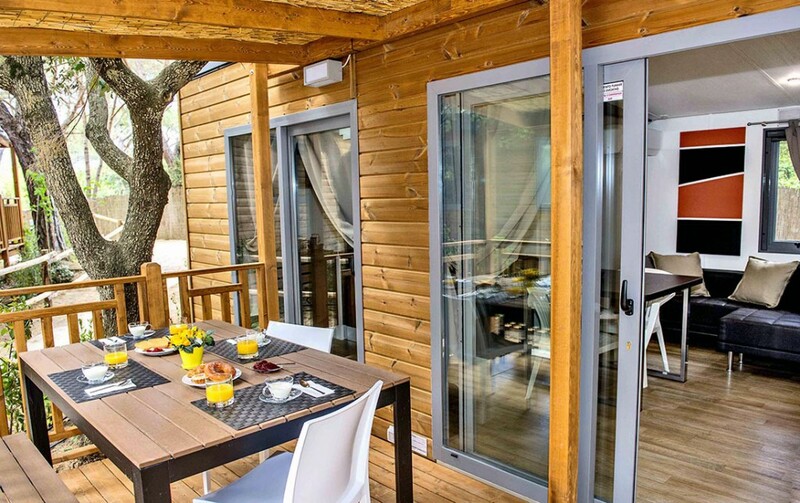 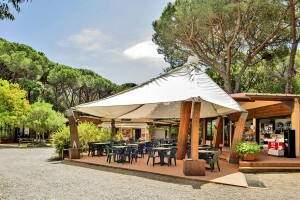 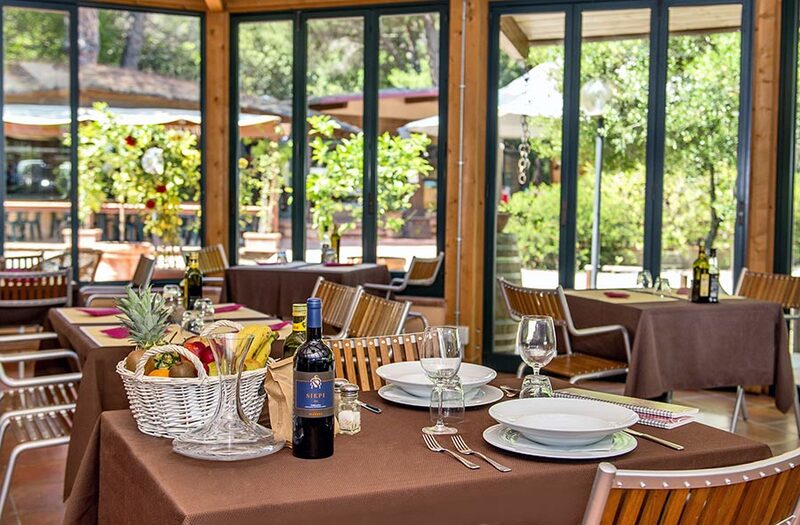 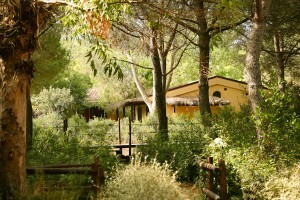 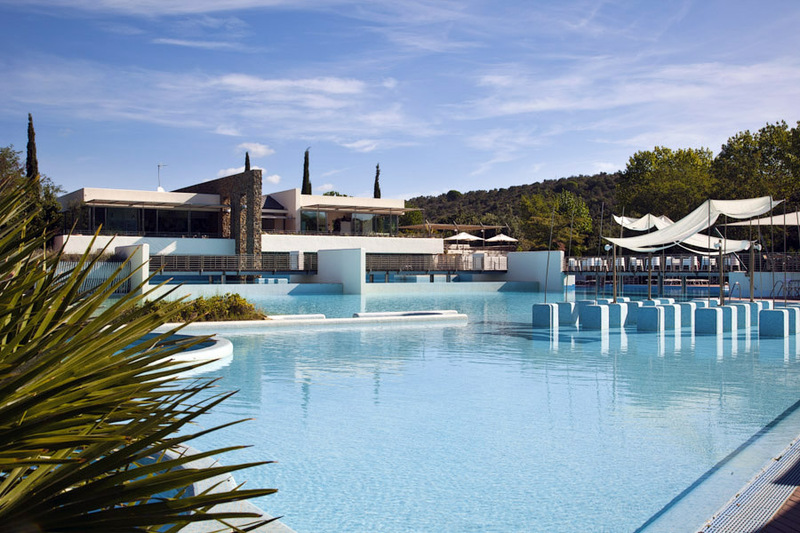 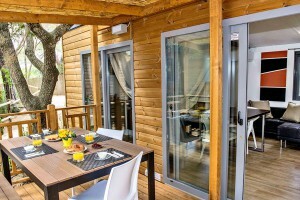 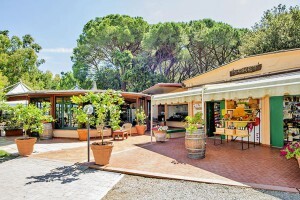 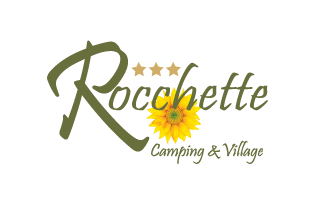 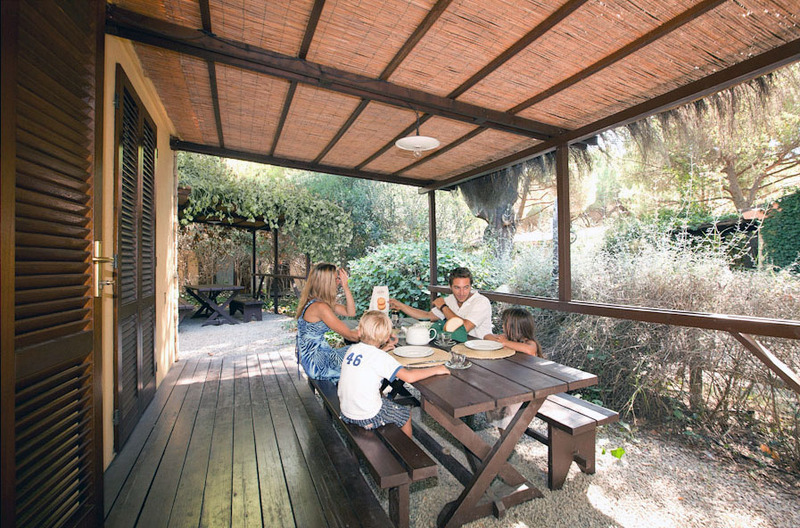 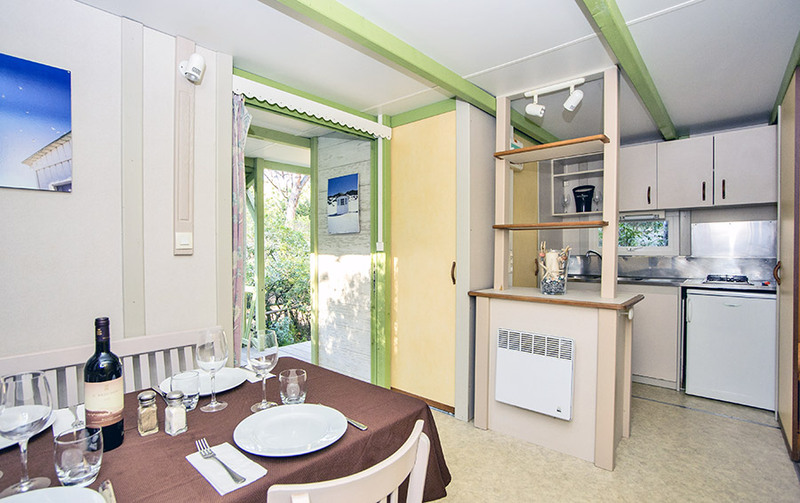 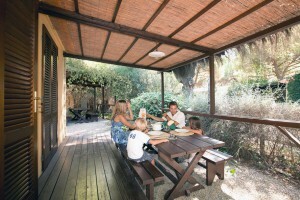 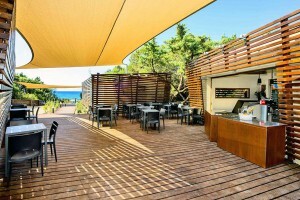 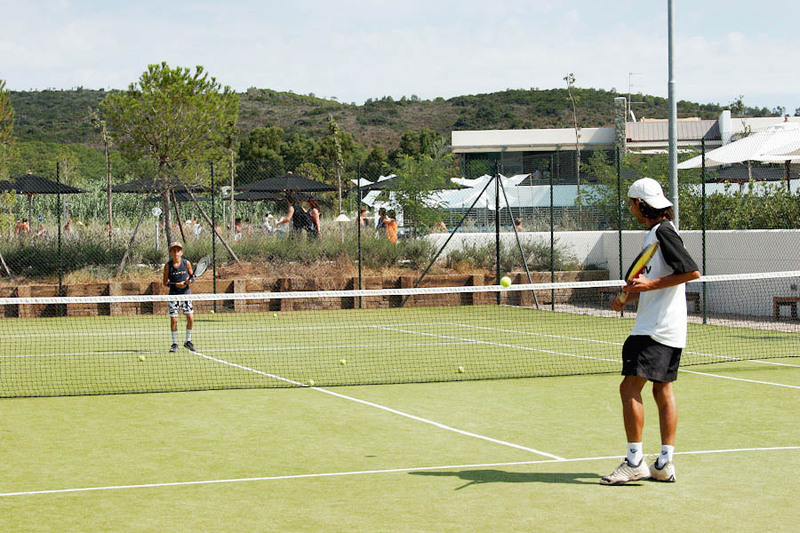 Camping Village Rocchette is a quiet and cozy oasis which spreads over an area of natural beauty, with all sort of the essence of the Mediterranean vegetation: lavender, myrtle, rosemary and so much more. 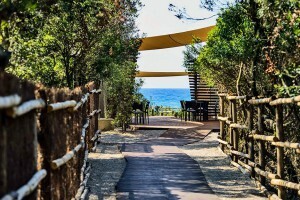 The vegetation grows naturally, spread the sides of the paths by creating a ‘harmonious atmosphere. 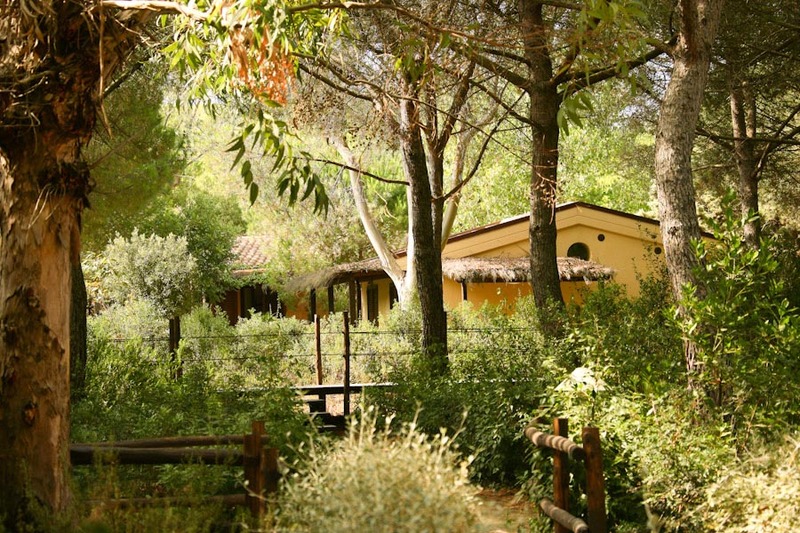 All the 75 bungalows are built brickwork and thermal insulated, provided by air conditioning, TV, kitchen, bedroom, bathroom with shower, and a small living room, private garden with long wood bench and a big wood table. 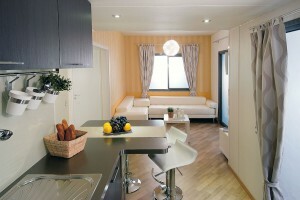 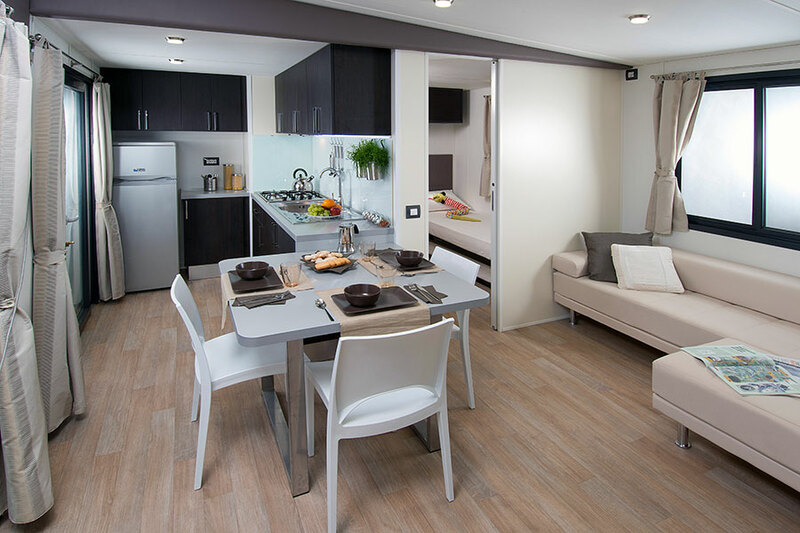 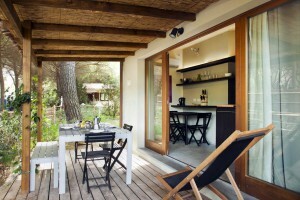 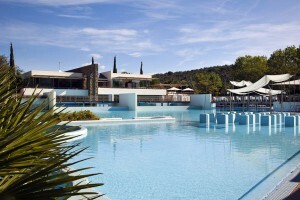 The new bungalows “Deluxe” are the perfect combination of style and innovation. In the camping village the vegetation is subject to professional care, grows naturally and in harmony with its environment.. 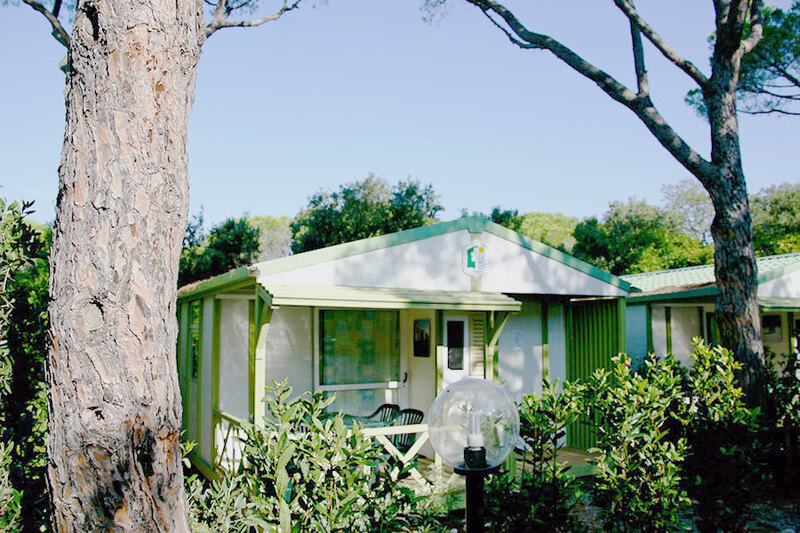 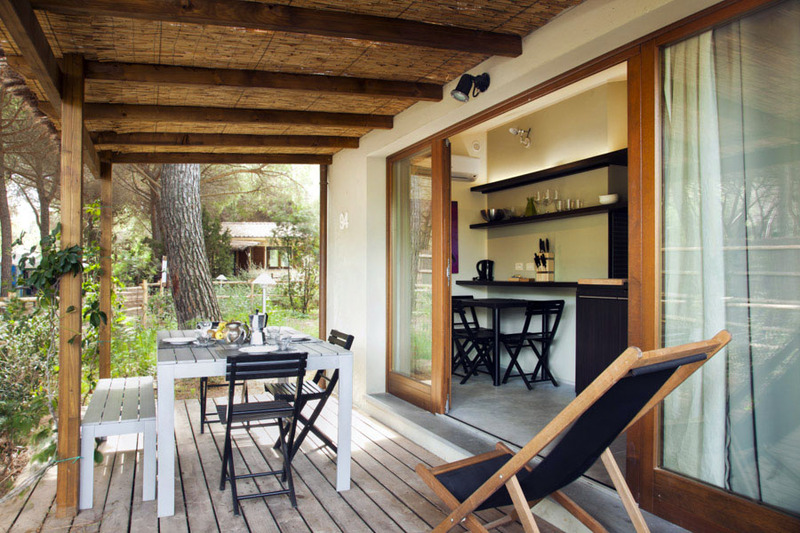 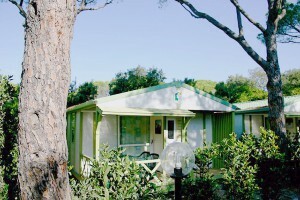 Directly on the seaside, Camping Santapomata is located in the village of Rocchette, just 6 kilome- ters from Castiglione della Pescaia. 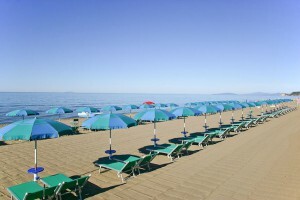 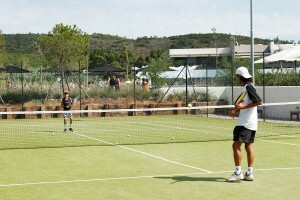 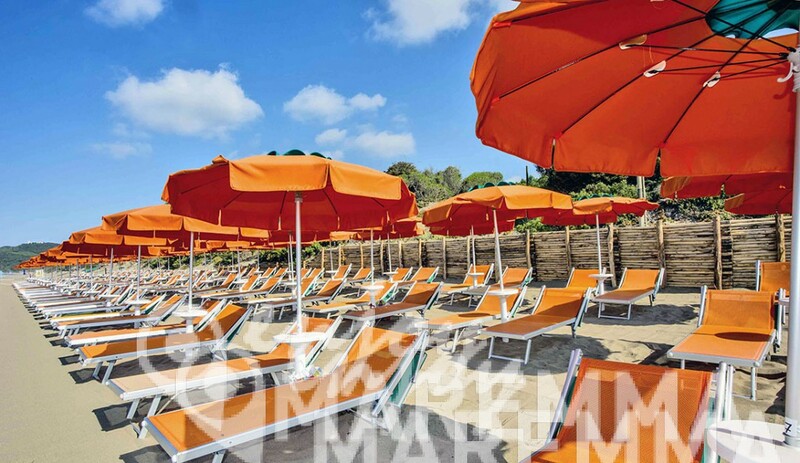 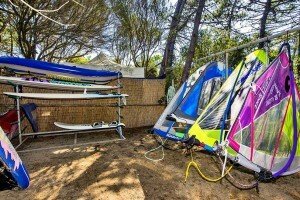 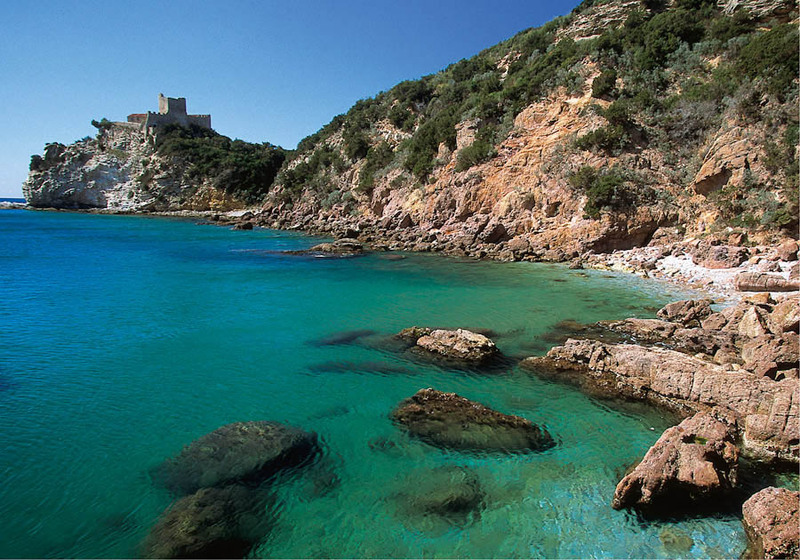 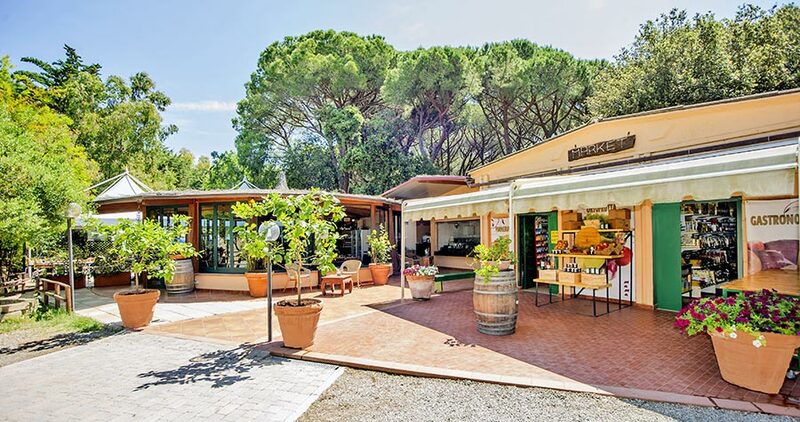 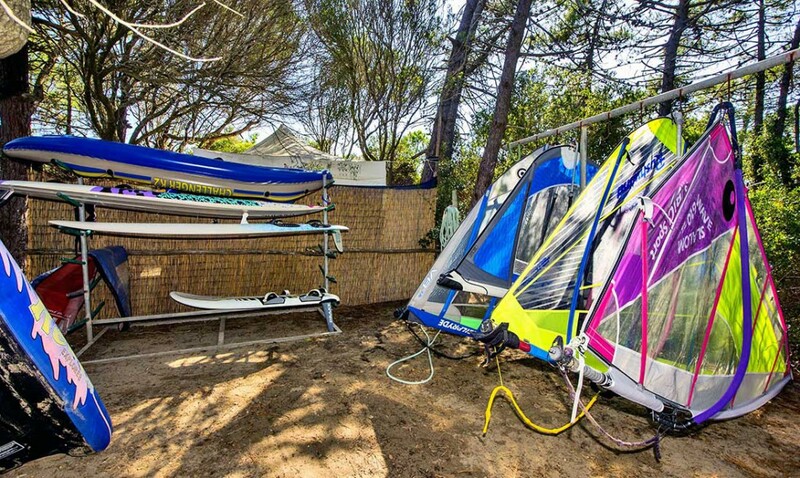 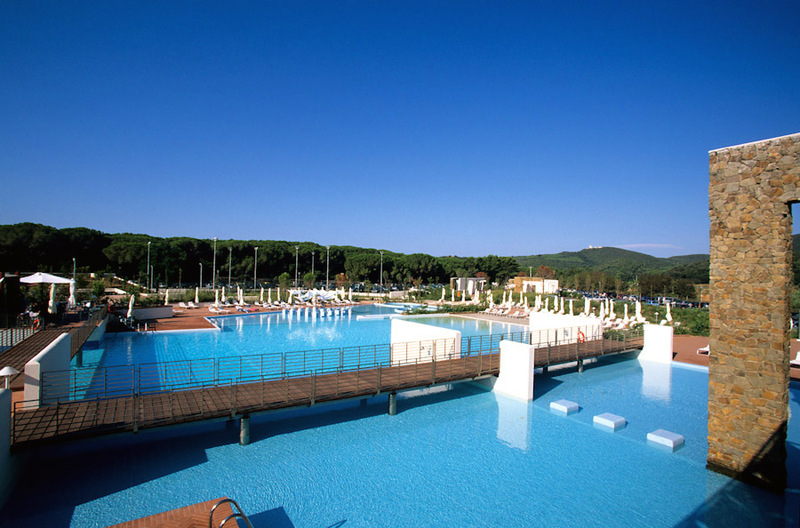 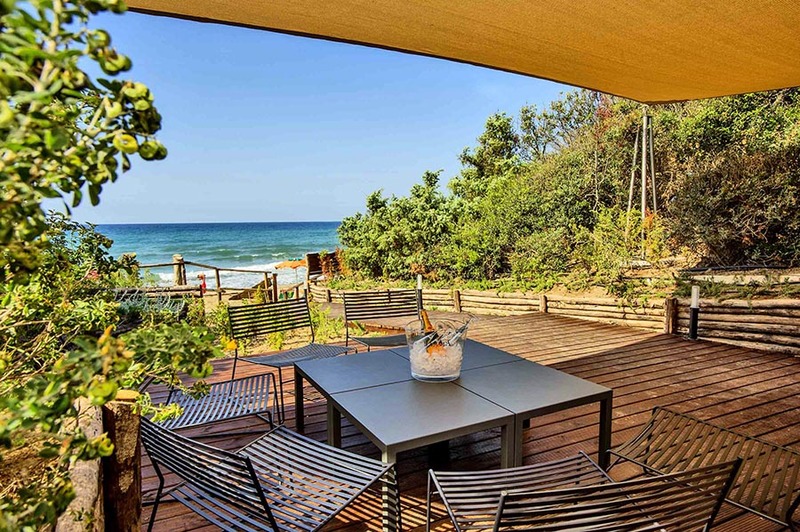 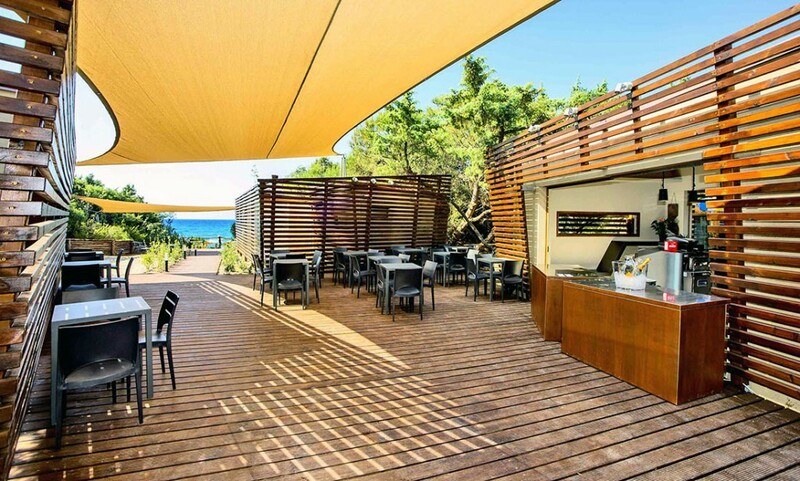 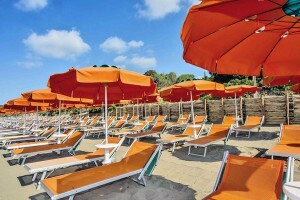 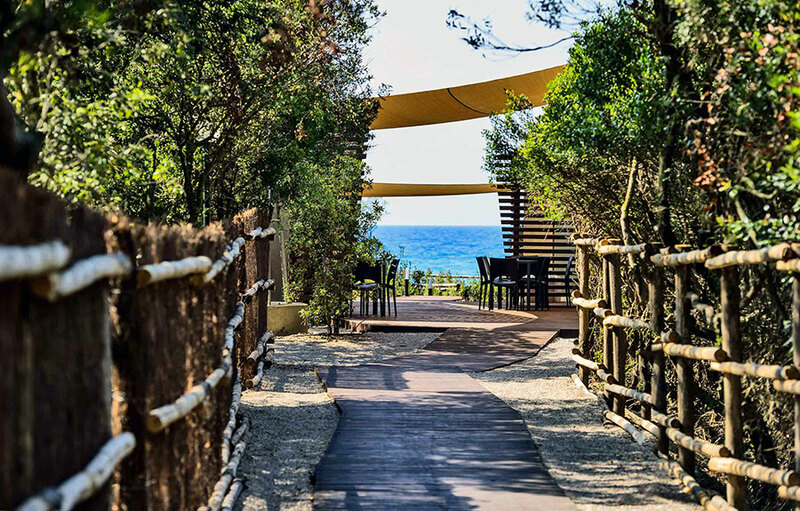 Nestled in a gorgeous pine tree forest, typical of Mediterranean countryside, with flower beds and shady pitches Castiglione della Pescaia was awarded several times for its clean waters and beaches with 5 sails and Blue Flags from Legambiente. 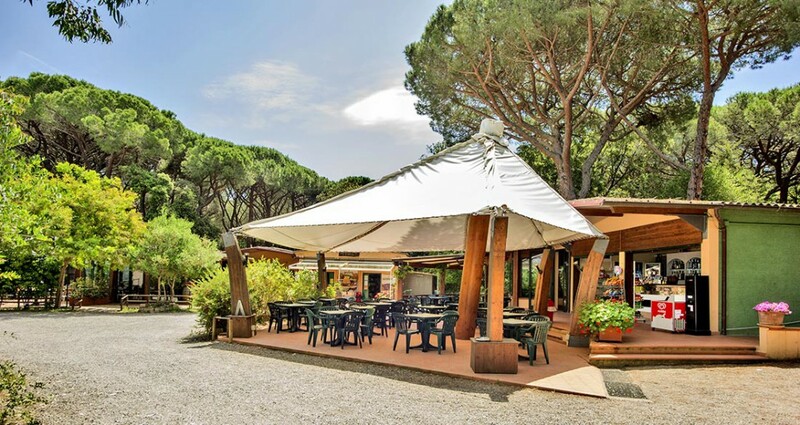 Thanks to its location in the heart of Tuscany the campsite offers landscapes of incomparable beauty, where you can relax enjoying fresh air. 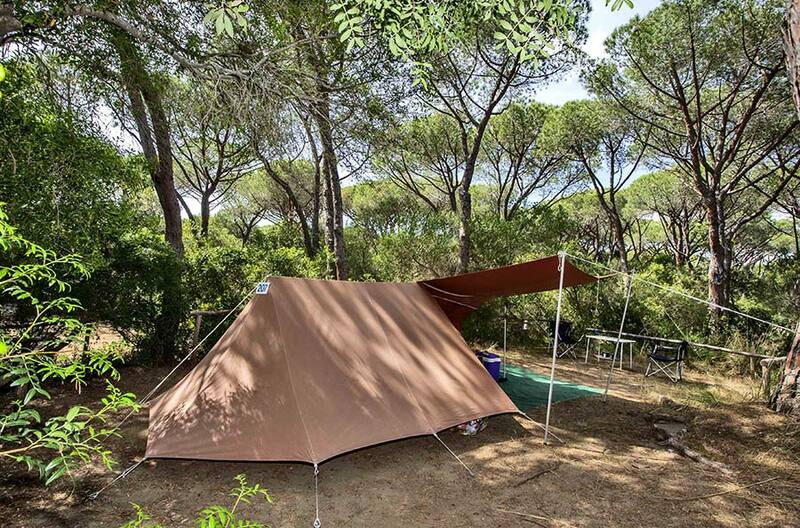 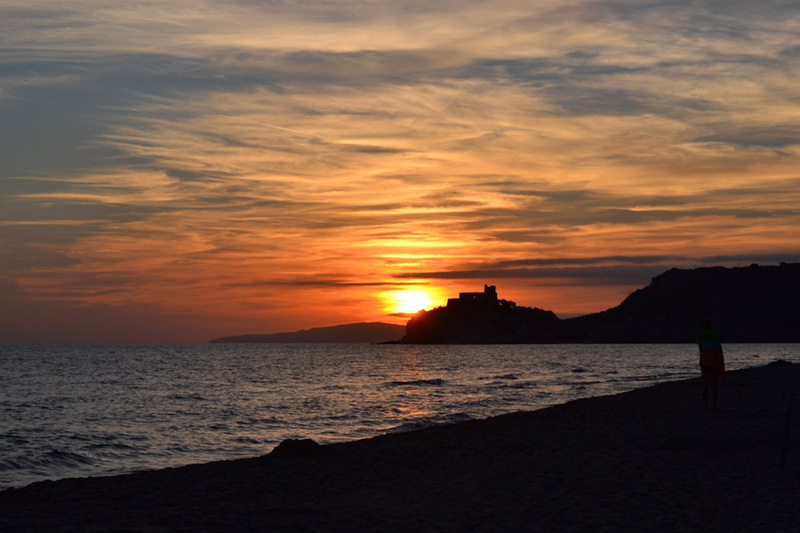 Camping Santa Pomata has beautiful beaches but you can also visit some hilly ancient villages like Buriano, Tirli, Scarlino, Massa Marittima. 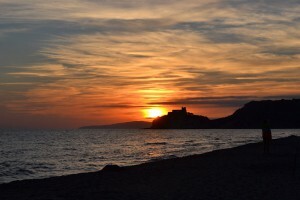 For its position is Castig- lione della Pescaia the ideal starting point for excursions to the most beautiful cities of Tuscany such as Siena, Florence, Volterra, San Gimignano.